The Isthmus Vocal Ensemble may get together for one weekend of performances every year, but that doesn't mean we've been flying under the radar. We've received numerous accolades and praises. John Barker, writing for the Isthmus, mentioned us in his best of 2016 saying, "For choral music, the Isthmus Vocal Ensemble gave the Brahms German Requiem about the best performance I have ever heard. Scott MacPherson drew out of 114 singers truly remarkable clarity plus outstanding German diction." 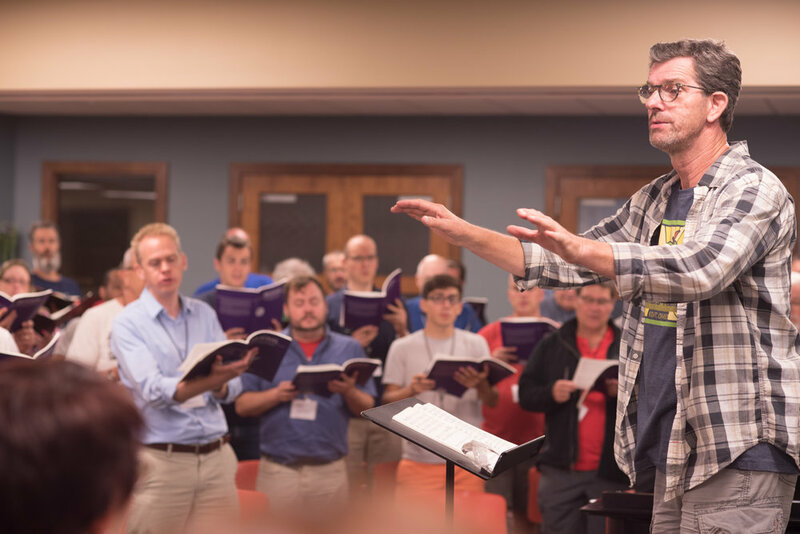 Our 2014 concerts got two glowing reviews from Madison Magazine "how does a group of about sixty singers come together for scarcely two weeks of rehearsal and produce interpretations of such compelling mastery?" and from The Well-Tempered Ear, "Despite its once-a-year schedule, this group is clearly a Madison fixture, and thoroughly earned their full house and standing ovation Friday night." IVE was a featured choir during the 2012 North Central American Choral Directors Association Conference. Lindsay Christians (originally posted in 77 Square, but now hosted at Madison Magazine) shared an inside look at IVE's 10th anniversary season. Our 2006 CD, called Rindfleisch: Choral Works, got some incredible praise: "The performances by the Madison-based Isthmus Vocal Ensemble are exemplary—the more amazingly so, given that this group 'comprises a temporary community of the [Madison] area’s finest singers, gathering together for three weeks of intensive rehearsals each summer, and a single public performance.'"